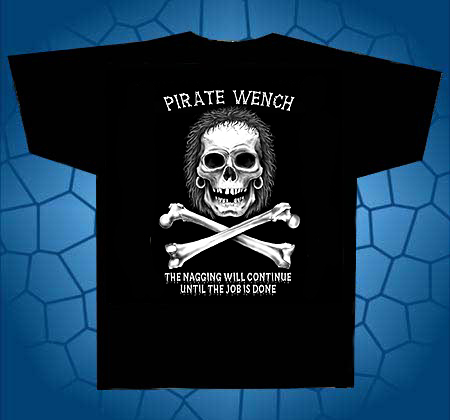 This T-Shirt features a skull and cross bones with the saying "The nagging will continue until the job is done." The design is printed on the front with a name drop option on the slleeve. Copyright 2005 Graphic Attack, Inc.